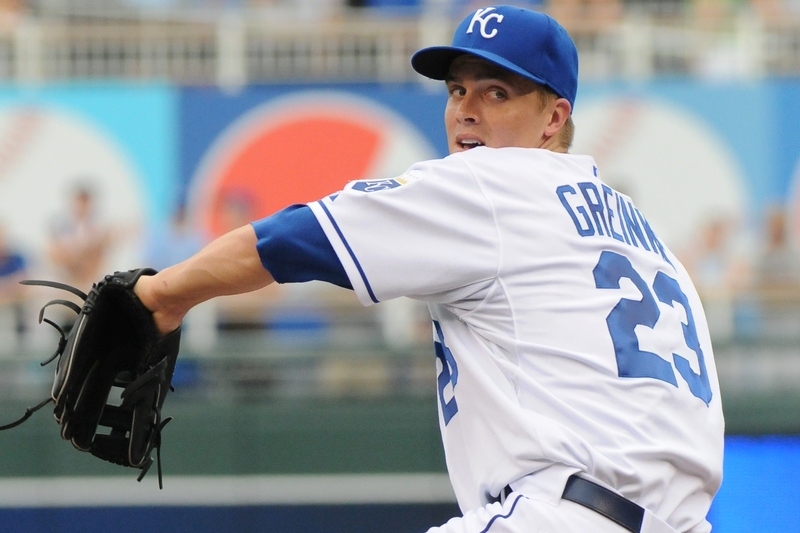 In baseball terms Zack Greinke has been dealing all season and now for his last start of 2009 at Kauffman Stadium the Royals have a deal for you. All seats priced $33 or less (excluding the $7 Dri-Duck Fountain Seats) are half-price. PLUS – Any Field Box, Field Plaza, Outfield Box and Loge Level ticket purchase includes an additional $5 in loaded value for you to use at any concession and retail outlet at the ballpark – the main store will even be offering a 23 percent discount on Greinke items (excluding jerseys). You can get tickets for as little as $4.50 to watch Zack one last time this season. And remember, the first 10,000 fans (21 or older) receive a “Greinke for Cy” T-Shirt from Miller Lite. The game is not being broadcast here in Kansas City, but somehow I think the national media will be watching (Yes we’re looking at you ESPN). It’s a good old-fashion campaign rally. Come early and get your shirt (wear blue no matter), make some clever homemade signs and join us for the last home game of 2009 – PACK THE PARK FOR ZACK! Just A Bit More: Zack is not only going after the American League Cy Young Award, but also has a chance to break two long-standing club single season pitching records – earned run average (ERA) and strikeouts. The best single season ERA for the Royals is held by Roger Nelson who posted a 2.08 for the 1972 season. Nelson started (19 starts) and relieved (34 games pitched) in 1972 when he posted an 11-6 record with two saves over 173.1 innings. Second on the Royals all-time list is Bret Saberhagen‘s 2.16 ERA in his 1989 AL Cy Young Award winning season. The single season strikeout best is held by Dennis Leonard who rang up 244 batters in 1977. Last year Zack and Gil Meche tied for the club led with 183 strikeouts which tied them both for the 10th best season in Royals History with Mark Gubicza (1988) and Dennis Leonard (1978). Greinke will enter Sunday’s start with a 2.08 ERA and 229 strikeouts.